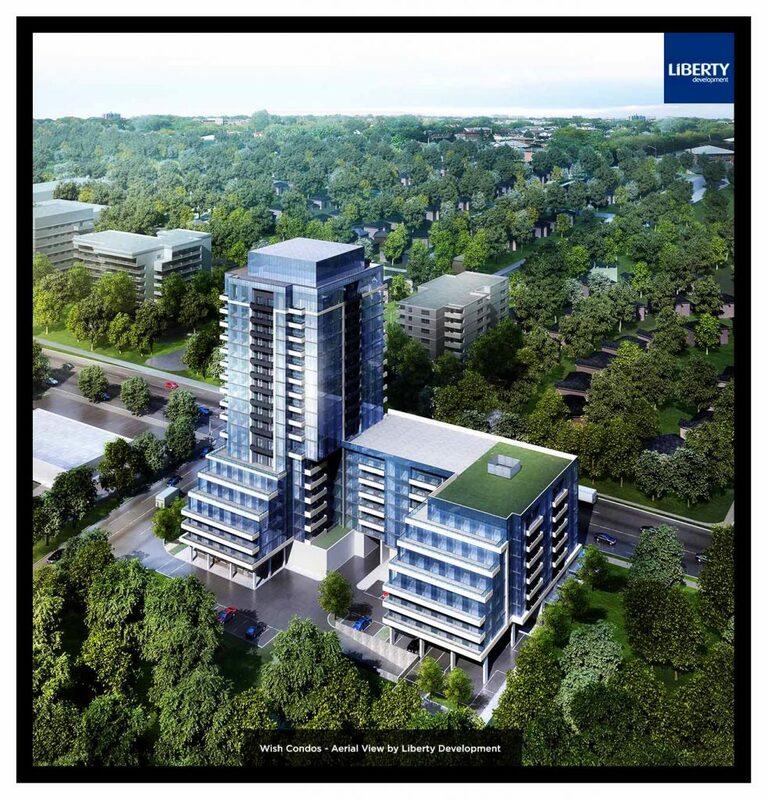 Wish Condominiums at Pharmacy Ave & Sheppard Ave E By Liberty Development - Sales Start From The High $200,000's. Wish Condos by Liberty Development Group located at 3111 Sheppard Ave E, Scarborough, ON M1T 3J8. Standing above the rest. Presenting Wish Condos a brand new luxury mid-rise tower by Liberty Development that will be located at Sheppard Ave E & Pharmacy Ave with an occupancy date of 2020. A magnificent soaring condominium community overlooking Wishing Well Woods Park. Offering contemporary urban suite designs, a brilliant array of indoor and outdoor lifestyle amenities with retail opportunities on the main floor. A slender 18 storey mixed use point tower with 270 refined suites building consisting of a 9 storey podium and a 9 storey tower element. With 44 unique floor plans and stunning one-of-a-kind amenities designed for your discerning urban lifestyle. This boutique mid-rise tower offers a wide choice of living options for every demographic, from first time home buyers to young families with kids to empty nesters. Suite sizes are designed for elegant living ranging from 480sqft to 900sqft and suite types of 1 bedroom, 1 bedroom plus den, 2 bedroom and 2 bedroom plus den. Suite finishes will have approximately 9ft. ceiling heights, with gourmet kitchens shine with gleaming quartz counter-tops, contemporary cabinetry, ceramic tile back-splash and stainless steel appliance package. The bathroom is a sublime retreat with cultured contemporary counters with integrated sinks, modern faucets, acrylic tubs and modern vanities. Every suite comes with a balcony and some suites will have south side terraces offering a gorgeous south view to the city. Bright and open, they overlook a beautiful green scenery and feature succulent stye contemporary designs. This mid-rise tower is piling on everything you need for easy living, when you’re on the run running errands the commercial retail space on the main floor will simply make it ultimately convenient for your everyday lifestyle. The lands are presently occupied by a one and two storey commercial build. The building is surrounded by an 11 storey building on the north east corner of Pharmacy Ave and Sheppard Ave. To the south a local municipal park “Wishing Well Park” immediately south and further south are detached homes. To the east is a pedestrian entrance to the park and immediately to the west is a one and two storey commercial plaza and a one storey commercial plaza further south on the west side of Pharmacy Ave. Further west are more detached homes. Wish Condos welcomes residents and visitors in a bright and enchanting grand lobby that will be dazzling with artistic chandeliers and more. With an elegant and sophisticated ground floor lobby and sitting area which is a unique focal point of this grand entrance. An outdoor zen rooftop terrace amenity space extending the spa experience featuring a lounge area and modern fire pit, fitness room with a yoga/multipurpose room. A party room including a fully equipped kitchen with access to an outdoor patio. Landscaped outdoor patio with outdoor dining and barbecue area and a guest suite. Everybody wants a trendy place to call home in a popular location in the city. Convenient access to Hwy 401, 404 and Don Valley Parkway, traveling east, west, north or south is so easy. Enjoy living in a prime, amenity-rich location, close to a wide variety of shopping and dining, modern public transportation, golf courses, parks and Fairview Mall just around the corner. Fairview Mall is one of the city’s largest malls with more than 175 retailers and estimated 14 million visitors per year. Since this neighbourhood is just around the corner from Wish Condos is worth mentioning that the Fairview Mall neighbourhood saw a positive gain of 51% change in just 5 years from 2009 to 2014. Click here for The Globe and Mail Article: The Globe and Mail. Welcome to a beautiful mid-rise tower located in Wishing Well Woods neighbourhood. Surrounded by green space and overlooking a park from in this trendy neighbourhood is as green as can be. A short walk to the all the conveniences you and your family would want. Register with us today for Brochure, Floor Plans & Pricing. Launching Spring 2017! 1. 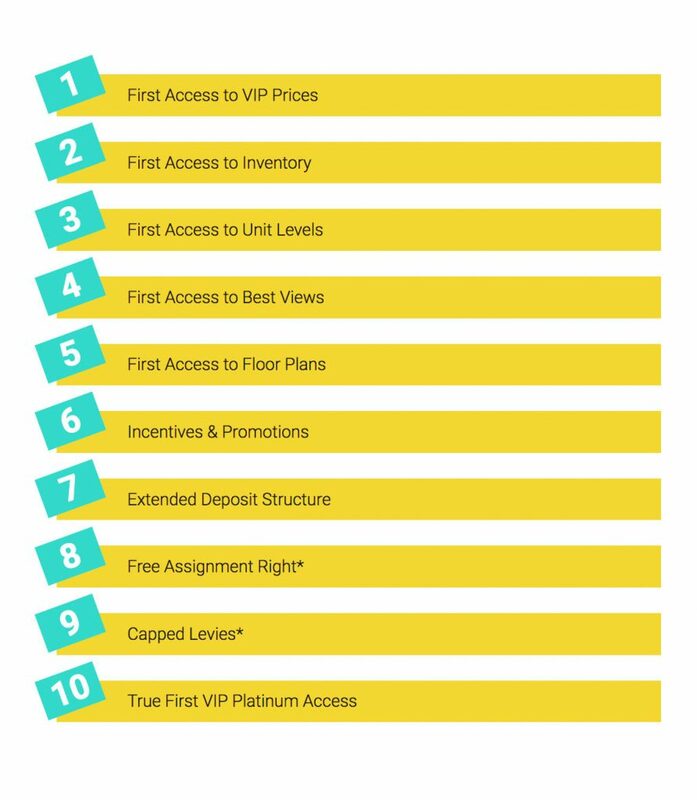 Its not a secret, location is the prime factor to consider when purchasing. 2. TTC at your door step. A subway line right just 10 minutes away. 3. 5 Minutes to Highways, you have the 404 & 401 just around the corner. 4. Close to Fairview Mall which features 160+ stores and services. 5. Oasis green space backyard, have a park as your backyard. 6. Community & Public Spaces for young families, single adults and seniors. 8. A luxury suite that meets your lifestyle. 9. Amenities that enrich your life. 10. Over 30 years of experience, trust and an industry leader in green building development principles and technologies. Wish Condos is brand new investment opportunity from Liberty Development. A company that offers a one stop for all you real estate needs. 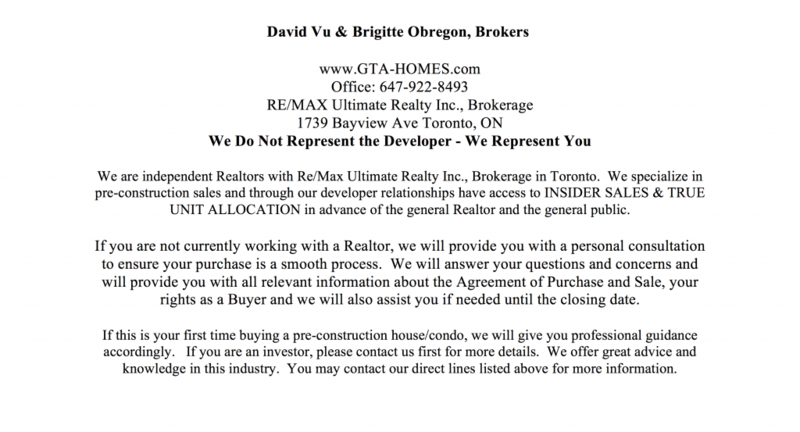 One of the leading real estate builders in Canada for commercial, office, and residential buildings. The core values of this company 30 years of hands-on experience in the building and construction sectors. They bring experience and great knowledge in building, design, construction, sales, and property management. They continue maintaining excellent working relationships with different levels of municipalities as well as professional consultants in new project. For over the past few years they have created many different living styles from single-family homes and townhomes to high-rise towers, as well as many large commercial opportunities. As a well known developer they have been careful to keep and modernize the communities they have brought and continue to maintain the strictest design standards. Liberty and Wish Condos are coming together.